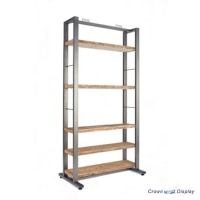 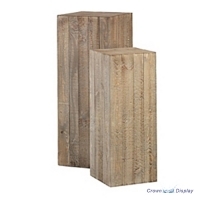 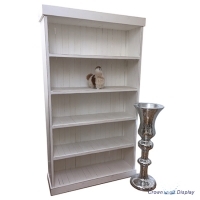 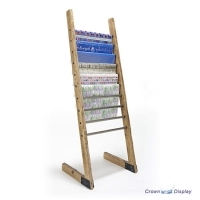 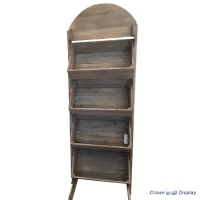 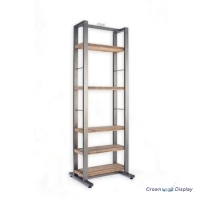 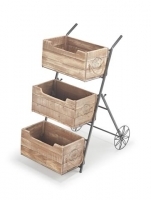 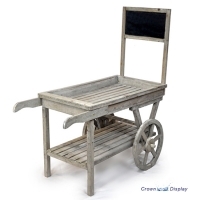 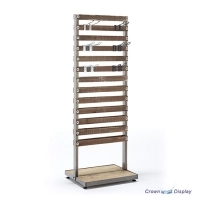 This rustic merchandiser has 4 tiers and is available in whitewash or distressed wood finish. 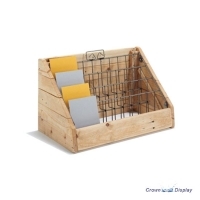 It is super simple to put together and you can choose to have the trays sloping (as shown) or flat. 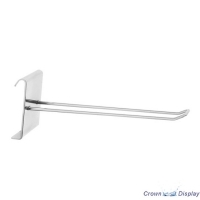 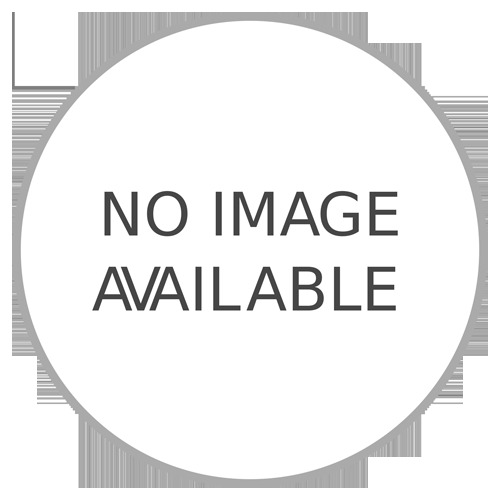 The header can also be removed should you wish to reduce the overall height. 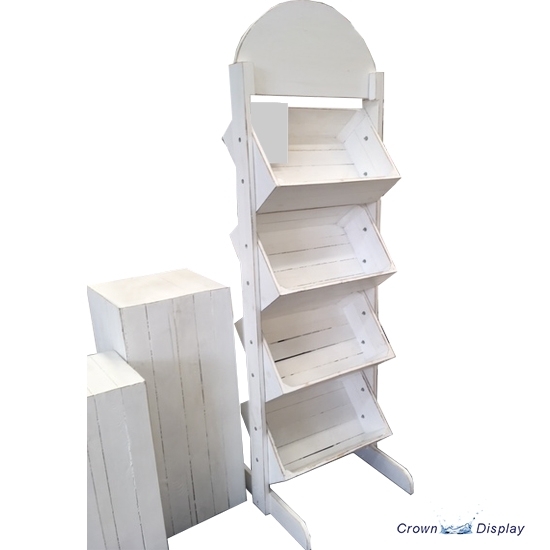 Garden centres, trendy cafes and bars and organic health shops are increasingly favouring rustic style furniture to show off their products maximising sales and these units are beautiful pieces in their own right. 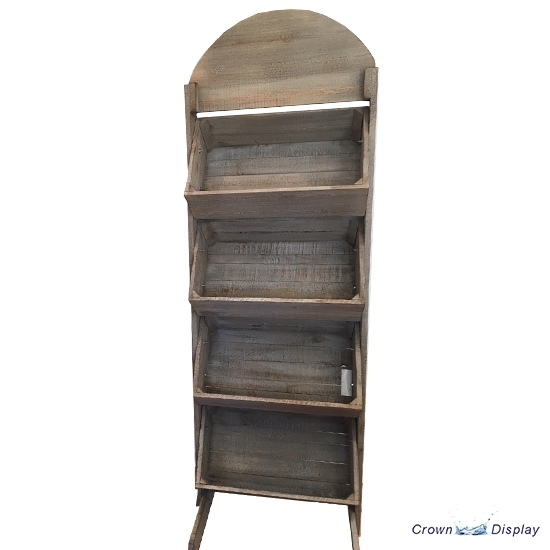 The purpose of our Rustic Range is to supply products that in many instances you would be happy to have in your own home. 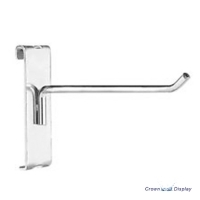 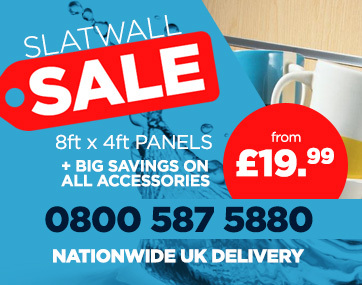 Delivery of this item takes 2 to 3 working days and is delivered flat packed ready for self assembly.